Techsailor got roped in an interview with Channel News Asia regarding entrepreneurship amongst students. 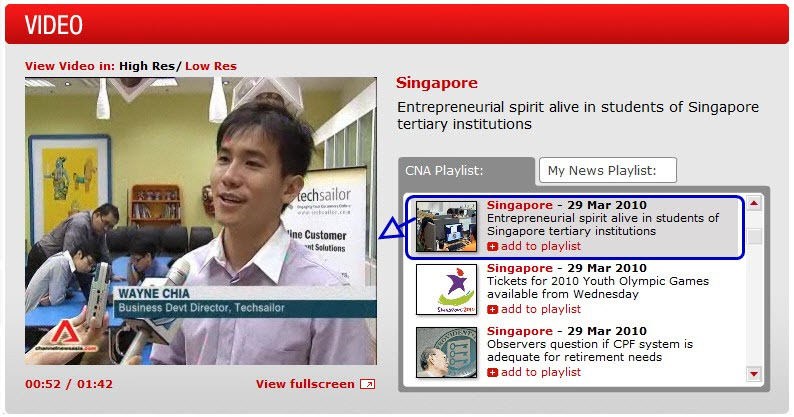 To see video, go to http://www.channelnewsasia.com/video/index.php and search for “Entrepreneurial spirit alive in students of Singapore Tertiary Institutions”. Nice dispatch and this post helped me alot in my college assignement. Say thank you you seeking your information. If your church buddies don’t understand what you do…. rejoice! Copyright © 2018 Wayne Chia. All rights reserved.